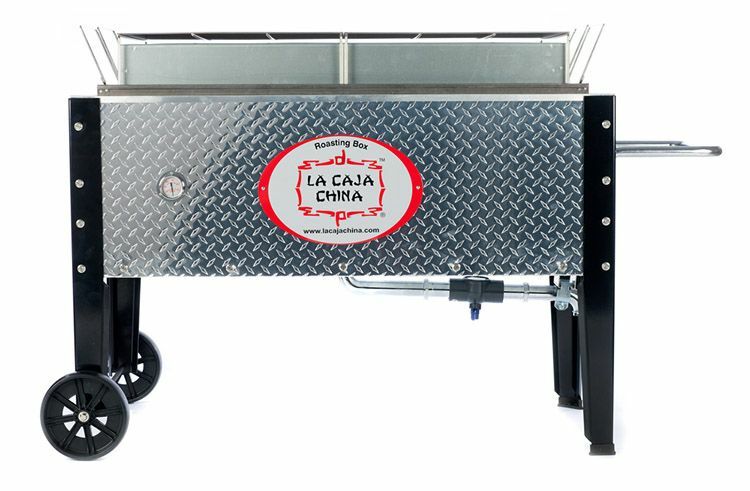 Upscale Box: This new model has all the same distinct capabilities as the original La Caja China model #2, but an updated sleek look. 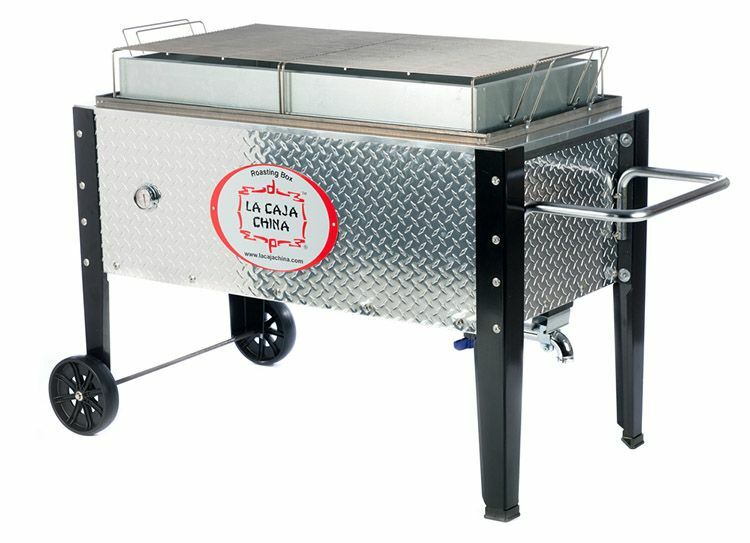 Convenience: This is not only a roaster, it’s also a smoker, and a regular charcoal grill; 3 kinds of equipment for the price of one. SHIPS ASSEMBLED. Included Ash disposal system, wind deflector and 2x Top large grill. Quality: Made in the USA ; spare parts available; Diamond-cut metal exterior, steel angle legs with powder coating paint and bolt mounted handles - and some new bells and whistles like the drain valve, that makes it even easier to use. Versatility: Roast any type of meat inside and grill veggies and burgers on top; add flavor into your meat with our smoke boxes.